Lease for $542/month for 39 months with $4,696 due at signing including $0 Security Deposit and 10,000 miles per year. Payment expires on 04/30/19. Estimated Lease payment based on 39 months and $4,696 due at lease signing. Cash due at signing includes $4,155 capitalization cost reduction, which includes $650 acquisition fee, plus a required security deposit of $0, and first month's lease payment of $542. Excludes title, taxes, registration, and license fees. Total monthly payments equal $25,255. Mileage charge of $0.25 per mile over 10,000 miles. Not all consumers will qualify. Residency restrictions may apply. Lease for $531/month for 39 months with $4,598 due at signing including $0 Security Deposit and 10,000 miles per year. Payment expires on 04/30/19. Estimated Lease payment based on 39 months and $4,598 due at lease signing. Cash due at signing includes $4,068 capitalization cost reduction, which includes $650 acquisition fee, plus a required security deposit of $0, and first month's lease payment of $531. Excludes title, taxes, registration, and license fees. Total monthly payments equal $24,742. Mileage charge of $0.25 per mile over 10,000 miles. Not all consumers will qualify. Residency restrictions may apply. Lease for $543/month for 39 months with $4,709 due at signing including $0 Security Deposit and 10,000 miles per year. Payment expires on 04/30/19. Estimated Lease payment based on 39 months and $4,709 due at lease signing. Cash due at signing includes $4,167 capitalization cost reduction, which includes $650 acquisition fee, plus a required security deposit of $0, and first month's lease payment of $543. Excludes title, taxes, registration, and license fees. Total monthly payments equal $25,323. Mileage charge of $0.25 per mile over 10,000 miles. Not all consumers will qualify. Residency restrictions may apply. Lease for $537/month for 39 months with $4,654 due at signing including $0 Security Deposit and 10,000 miles per year. Payment expires on 04/30/19. Estimated Lease payment based on 39 months and $4,654 due at lease signing. Cash due at signing includes $4,118 capitalization cost reduction, which includes $650 acquisition fee, plus a required security deposit of $0, and first month's lease payment of $537. Excludes title, taxes, registration, and license fees. Total monthly payments equal $25,035. Mileage charge of $0.25 per mile over 10,000 miles. Not all consumers will qualify. Residency restrictions may apply. Lease for $548/month for 39 months with $4,756 due at signing including $0 Security Deposit and 10,000 miles per year. Payment expires on 04/30/19. Estimated Lease payment based on 39 months and $4,756 due at lease signing. Cash due at signing includes $4,208 capitalization cost reduction, which includes $650 acquisition fee, plus a required security deposit of $0, and first month's lease payment of $548. Excludes title, taxes, registration, and license fees. Total monthly payments equal $25,569. Mileage charge of $0.25 per mile over 10,000 miles. Not all consumers will qualify. Residency restrictions may apply. Lease for $539/month for 39 months with $4,674 due at signing including $0 Security Deposit and 10,000 miles per year. Payment expires on 04/30/19. Estimated Lease payment based on 39 months and $4,674 due at lease signing. Cash due at signing includes $4,135 capitalization cost reduction, which includes $650 acquisition fee, plus a required security deposit of $0, and first month's lease payment of $539. Excludes title, taxes, registration, and license fees. Total monthly payments equal $25,140. Mileage charge of $0.25 per mile over 10,000 miles. Not all consumers will qualify. Residency restrictions may apply. 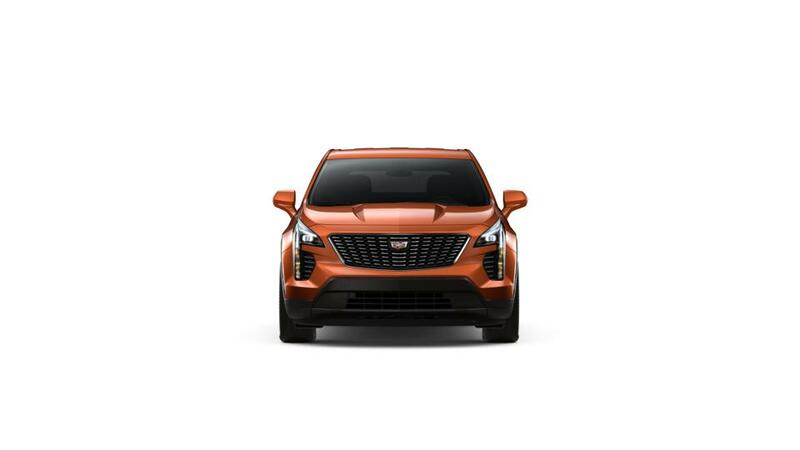 Bergstrom Cadillac of Madison offers a great selection of new 2019 Cadillac XT4 vehicles for sale in Madison, WI. Our new vehicle inventory is one of the largest in the state of Wisconsin. If you're shopping from Sun Prairie or Janesville we encourage you to shop our entire inventory of new Cadillac vehicles and visit us for a test drive when you've found a model that suits you. Sort by color, trim, features, price and more by choosing from the filters above to find the perfect vehicle that has everything you need. You can also apply for financing directly from our website, and don't hesitate to call us at (866) 462-6412 or contact us online with any questions you have.